I love my wife. We are celebrating our twentieth Valentine’s Day together. This may sound obvious but hear me out. I have long objected to the frivolous use of the word “love.” In my self-styled dictionary, we are not in love with our girlfriends. We are not in love when we get engaged and we are not love when we get married. For many, we are not even in love when we have children. Love, as I see it, is not a condition that can be moderated or adjusted based on external influences. You cannot fall out of love. If you think you have, it is far more likely that you were never in love in the first place. Imagine a friend that has wronged you. You are angry. Hurt. You may want vengeance. You may decide that the relationship is toxic and needs to be adjusted downward. But, do you hate him? Think about hatred. It is all-consuming. It is a state of being that requires animus. It is an active condition that leaves you hoping for bad things to happen. I submit that few people are capable of “hatred” in its purest sense. Love, like hate, is a living thing. It must be nurtured and raised. It must be fed with respect and tragedy. It breathes an oxygen constituted of a tailor-made formula that needs constant adjustment over many years. You cannot love someone you just met. You cannot love someone who you know for a year. You can find love in a couple that has been together for 20 years, who have successfully raised children together, who shared a lifetime of common experiences, philosophy, and culture. When the proverbial house is empty, you can still sit for hours and talk. The little things that annoyed you in the beginning have not sharpened; they have blended into the fabric of your relationship. The word “couple” is singular and for good reason. The finished product of a loving relationship is a single cohesive unit that co-exists and constantly evolves and solidifies. In other words, love is the outcome not the impetus. Here’s my proof. Half of all marriages end in divorce – – most of which are acrimonious and hostile. These same couples started out professing their eternal love for one another. Ask any couple at the alter and they will nauseate you with the depth of their love. But more than half of them are no longer in love after they leave the starting gate – often within the first year. Sometimes after raising children. What happened? In my world, love is not so fleeting and ditzy that it can turn on itself in short order. So, we can all agree that these couples were likely not in love in the first place. At least not LOVE, love. And, if they weren’t, no one was. Love cannot be a crapshoot. So, we get married because we see a future. Because we enjoy each other’s company. We have common interests and shared personality traits (and flaws). We marry because we can envision falling in love. Sometimes it happens. Sometimes it doesn’t. But, the seed that we plant on our wedding day can either grow or die. That’s not love. Some of my closest friends are now divorced with children. They have loved and lost and, I am willing to bet, in retrospect would have chosen never to have loved at all. Others have reached a state of love that can be felt anytime you are in a room with them. Even when they are fighting. Which brings me to my point. 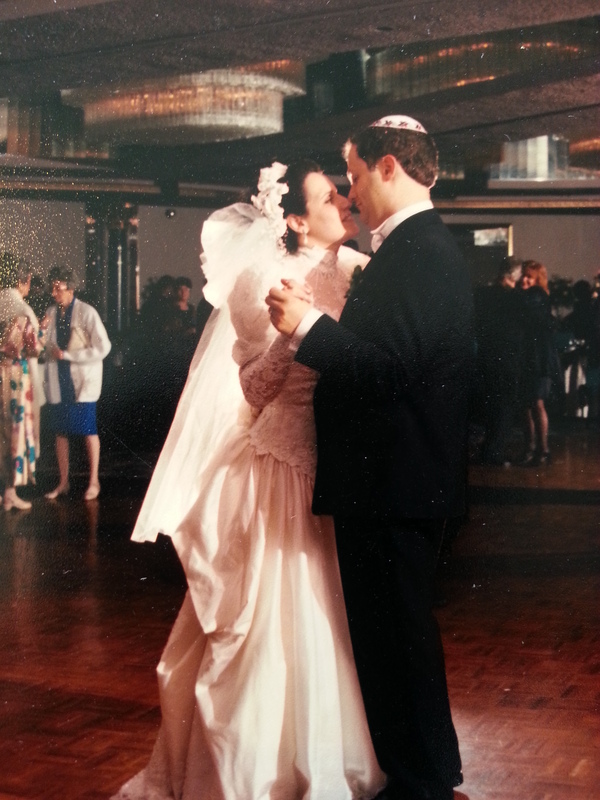 After twenty years, I am ready to declare my undying love for my wife. We still laugh. And go on dates. We are raising four terrific children, who are a joint venture that incorporates the very best of each of us (mostly her). But, lately, I find our relationship to be much deeper than those common ingredients. Her love is unconditional. She gives me space to make mistakes but then gently counsels me back to reality. She protects me and nurtures me and makes me a better person. And, perhaps most challenging of all, she understands me. I hope I am requiting that love and offering her the same benefits that she brings to the marriage. Happy Valentine’s Day Francine! 5 Responses to Happy Valentimes Day! Wow! That made me tear up! That was excellent Ari! Bravo! Francine is a very lucky lady!